Alfred James [Montiville] Evans appear to have come to St Albans at about the time of his marriage in 1900, working as a miniature artist and photographer from his house in Alma Road, and taking on the name Montiville. He later moved his studio to St Peter's Street, until about 1917, and I have not been able to trace him after this date. 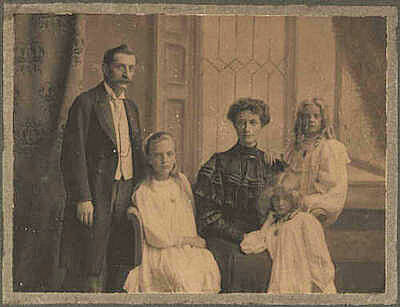 1891 Census Alfred James Evans (24, photographic artist, born Sandgate, Kent) with parents Henry & Sarah and siblings in New Road, New Shoreham, West Sussex. His father was a retired Chief Officer, Coast Guards. 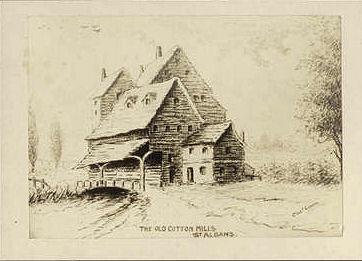 "The Old Cotton Mills, St Albans. "Signed Mont. Evans. 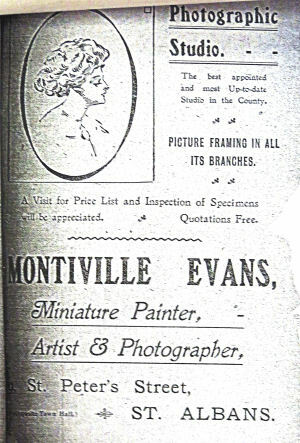 A. Monteville Evans was a local photographer, whose studio was in Alma Road St Albans. This appears to be a photographic reproduction of a drawing. Monochrome photographic print mounted on board, 210 x 150 mm (print size). 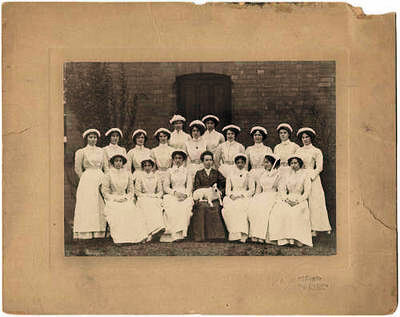 Photograph by A. Monteville-Evans of St Albans. 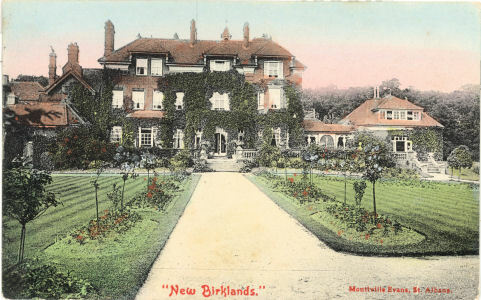 The museum has a number of other Montiville Evans photographs of the Gibbs family. 1911 Census Alfred James Evans (46, artist, born Sandgate, Kent), Edythe Jane Blackaller Evans (37, born Lee, Kent) with her parents William Lewis & Jane Elizabeth Deacon of "Enslin", Abbots Langley. 1911 Census Albert Edward Cadreman (35, photographer, born Lewisham, Kent) in Lewisham with widowed mother and siblings. 1914/5 Ebay A photograph of a soldier in the London Rifle Brigade - so probably late 1914 or early 1915. Embossed "Montiville Evans of St Albans, opposite the Town Hall"
1915 Google A reference to a photograph of a trainee soldier, embossed "Montiville Evans of St Albans, opposite the Town Hall" listed but original page not accessible.